Way back in December of 2016 a plan for an outdoor wedding atop Cathedral Ledge was formed. We were officiating the nuptials — owner Mike Cherim is a JP — and providing photographic services. This was to include an early morning, heavily alpenglowy pre-wedding shoot at the ledge, a friends and family preparation series in the early afternoon in their rentals at the lovely Nordic Village, followed by the chronicling of the late afternoon service itself back at Cathedral. The extremely affordable photographic services to be provided by one of our multi-talented guides: Álvaro Marques stepped up for this one — and one late last year as well with unposted private photos. Everything was a go. We waited all winter for this. Only one problem: Rain. Lots of rain. Thanks to the wet weather, the morning shoot was scrubbed altogether. Instead the groom and his posse worked on a new emergency venue. We suggested the Swift River Covered Bridge and the idea was a hit at first sight. The town was contacted (blessings were given), and the wedding party staged the scene. Chairs placed, a handful of decorations hung (but no nails or thumbtacks were used), some love given. 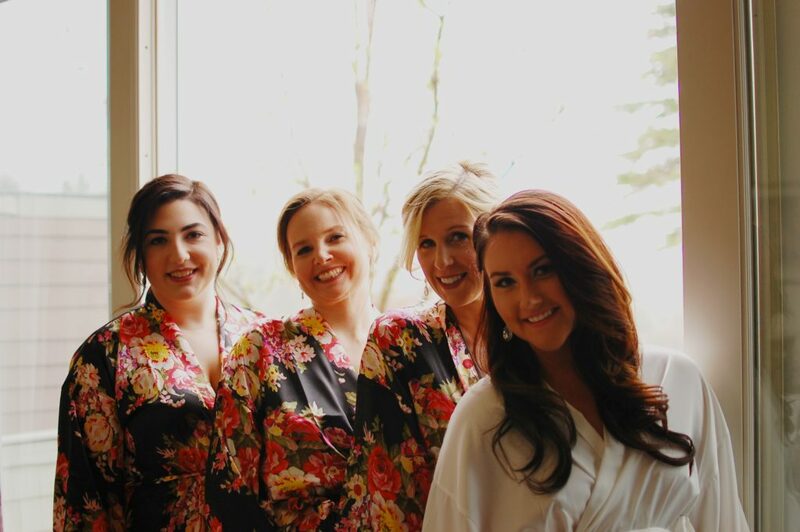 This covered bridge was soon wedding-ready. That was convenient because apparently another group used the now wedding-ready bridge to have their own wedding on the bridge right after the decorations were in place and about two hours before our service was to be given. Imagine their surprise! 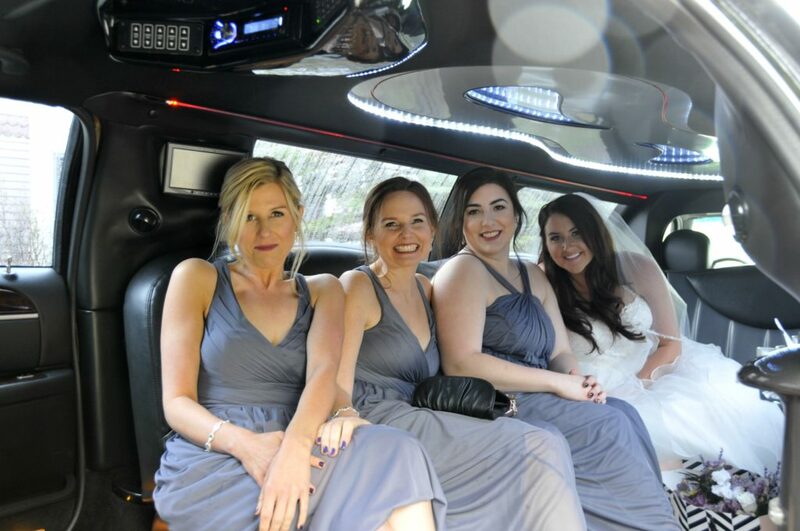 Nothing was disturbed, fortunately, so both groups enjoyed the efforts put forth by our wedding party. The bridge a great rainy day back-up setting (though it had its photographic challenges). 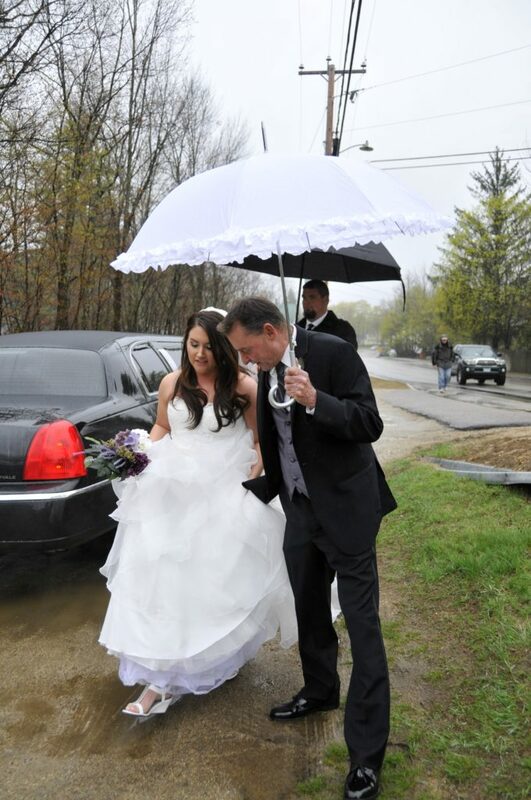 Bride Kelsey with her dad, smiling in the rain… and watching their step. Before the ceremony Mike asked the groom, concerned, how everyone was doing… hopefully not too upset by the weather. 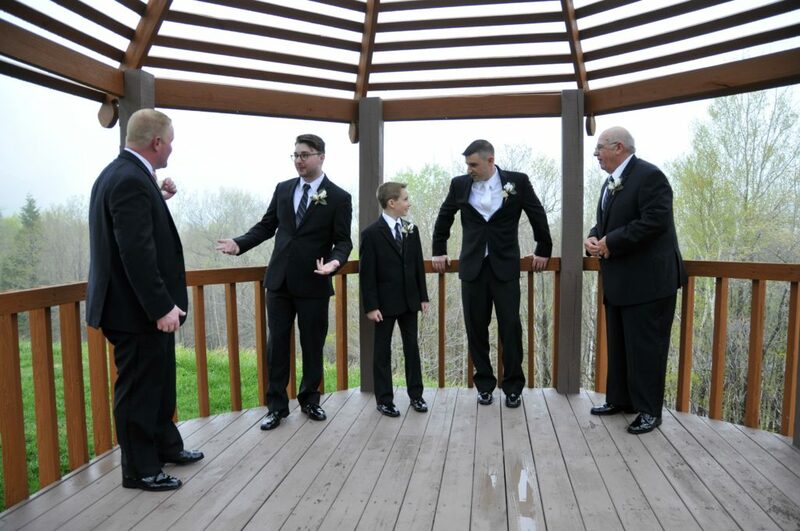 The groom assured Mike all was good saying that they knew back in December it was going to rain, laughing. They just knew. Mike told them reassuringly that wet knots are almost impossible to untie, wanting to be positive. Everyone smiled. All-in-all the service was beautiful. A success. A lovely congregation of friends and family, everyone all smiles. Three generations. 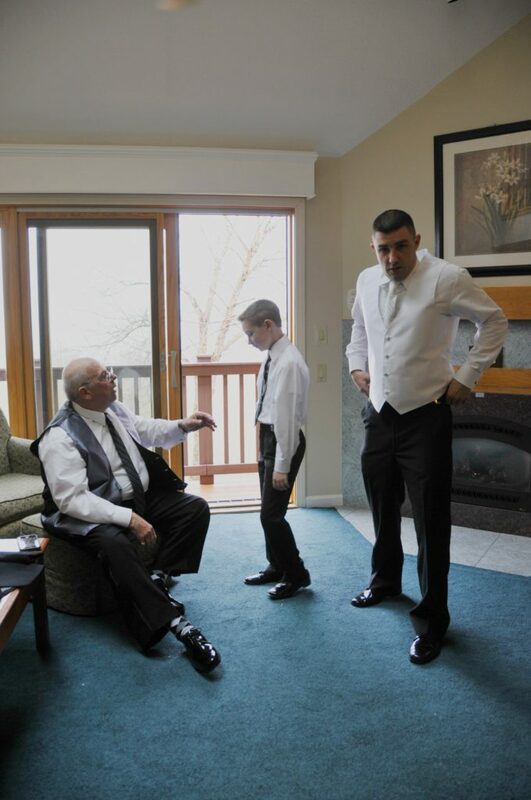 Groom, Rob, with his father and his son. 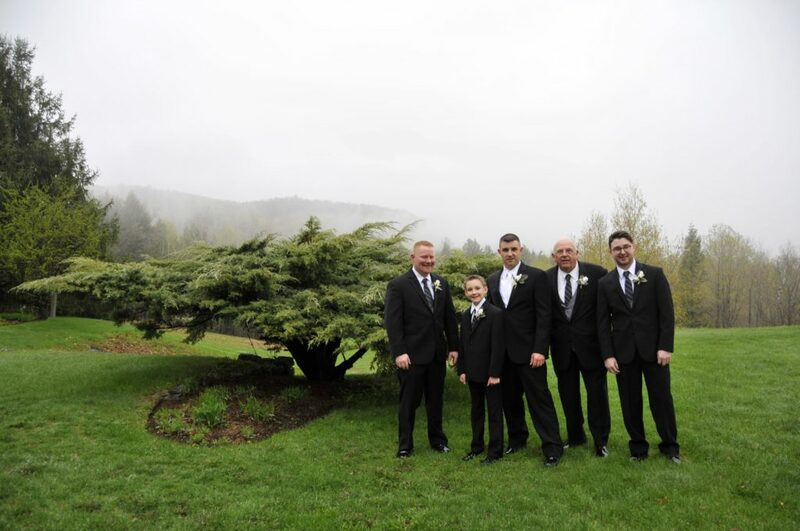 Before the wedding, in the clouds at Nordic Village. 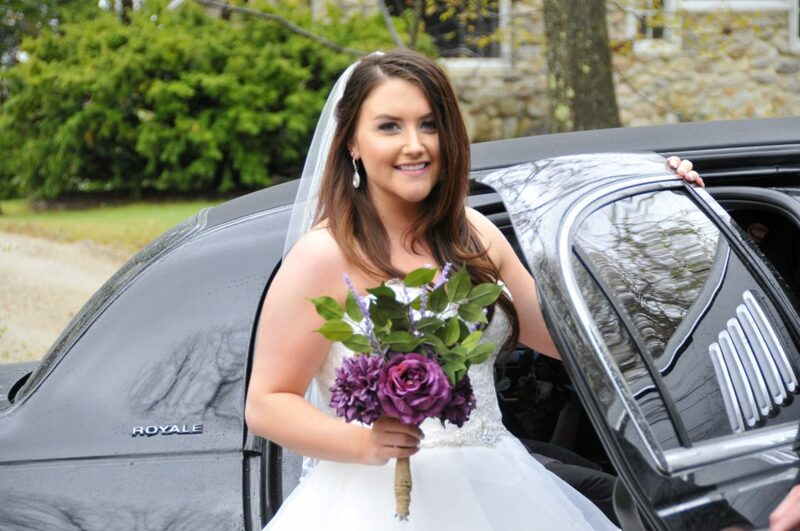 The “I dos” were said, the vows recited, and the marriage made. Then the sun came out. A smile from above. Our wedding party didn’t realize it, but we’re pretty sure they stood where a rainbow started. 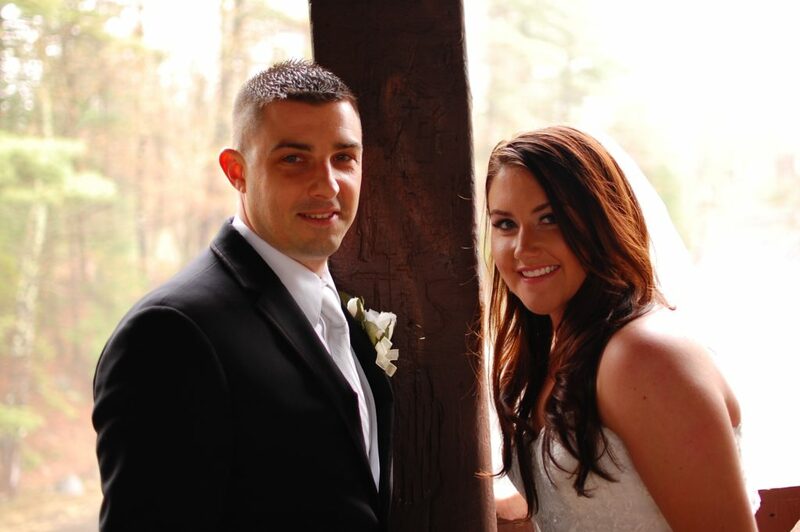 Congratulations Kelsey and Rob! We wish you an amazing future.